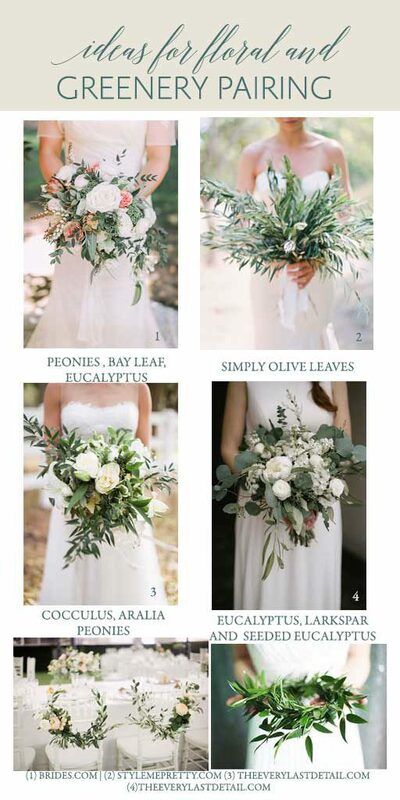 Wedding Greenery Inspiration Ideas For Bridal Bouquets. Looking for inspiration for your fabulous greenery themed wedding? 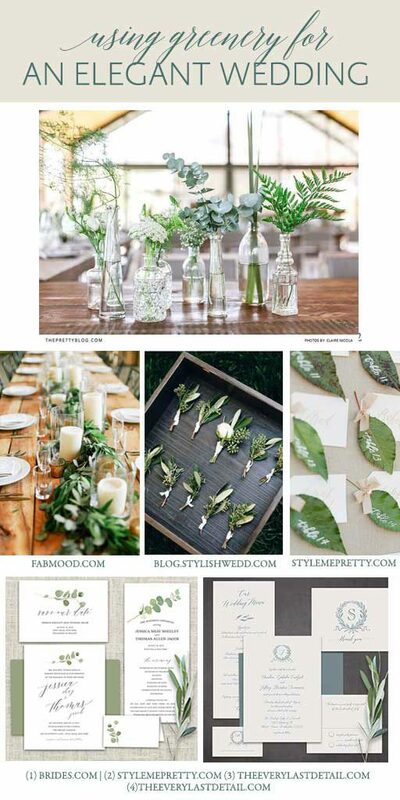 We are very simply in love with the simplicity of greenery- its an official gorgeous win! Green is everywhere. It’s also the most common color in the natural world, second only to blue as the most common favorite color. Additionally, green is the color we associate with revitalization and rebirth. Of course, natural greenery also combines physical energy, balance, nature, spring, and rebirth. It’s the symbol of balance, health and youth. Read more about the meaning of the color green HERE. 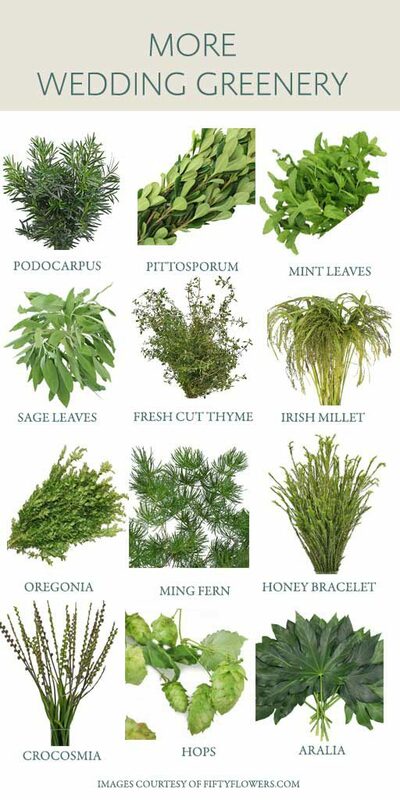 Every plant has its own “meaning,” so you may want to consult this LINK on plant symbolism to see what your greenery inspires. Today, however, we offer this Wedding board highlighting Wedding Greenery Inspiration Ideas and how you can use them for your upcoming Wedding. There are so many floral and greenery alternatives, its simply impossible to pick our fave! Therefore, check some of these great ideas out! 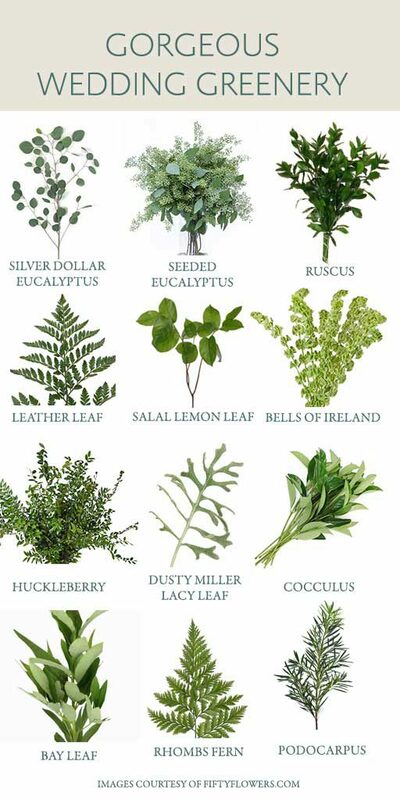 Enjoy planning your wedding and we hope we have provided some great inspirations for your greenery themed wedding!